Tom and I on a weekend trip in 2013. Tom Braunagel, a friend and customer, is in the final stages of planning his USA cross-country trip. He plans to leave on May 1, 2015. The link to his journal is here, on the Crazy Guy on a Bike website. He’s riding in part to carry a dream of his father’s and also to raise money for the orphan children of a friend. Very cool. 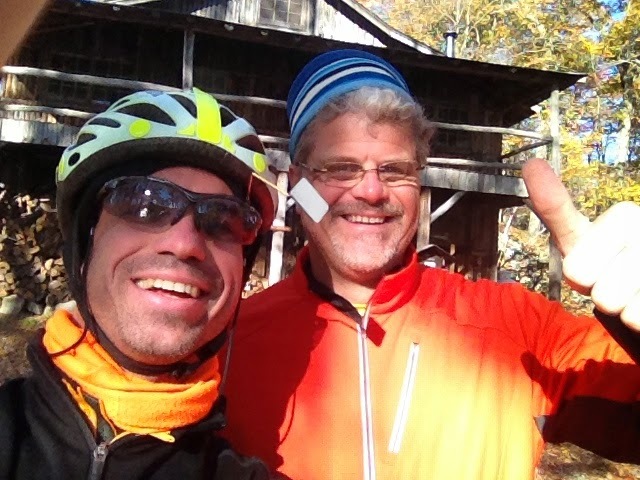 Tom’s a good guy and I wish him beautiful weather and a tail wind. 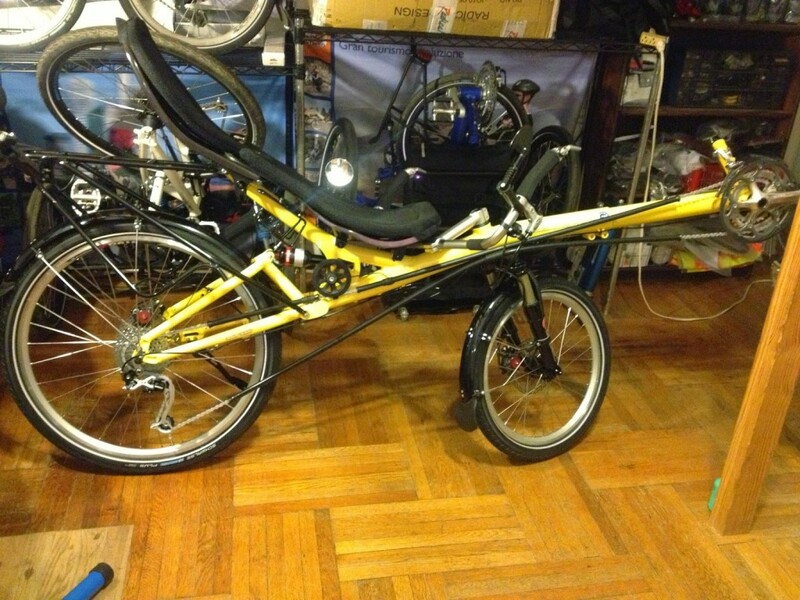 I sold Tom a really neat custom yellow HP Velotechnik Street Machine Gte recumbent bike. ← Sebring 2015: Maria Parker sets new record on a Cruzbike Vendetta to win the 12-hour race.